When we set out to build bullbird, we were trying to solve the biggest problem of flying - getting comfortable without looking ridiculous. Showing up to your 9 AM meeting in Midtown Manhattan on very little sleep is awful. Showing up to your 9 AM meeting in Midtown Manhattan lugging around your bulky memory foam travel pillow is just as awful as showing up sleepy. 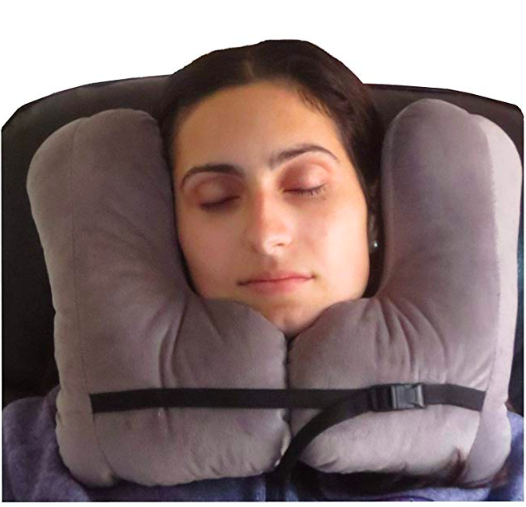 We knew that most of the travel pillows either looked insanely ridiculous and/or completely lacked neck support. This is a thing, a thing that you can buy… seriously. 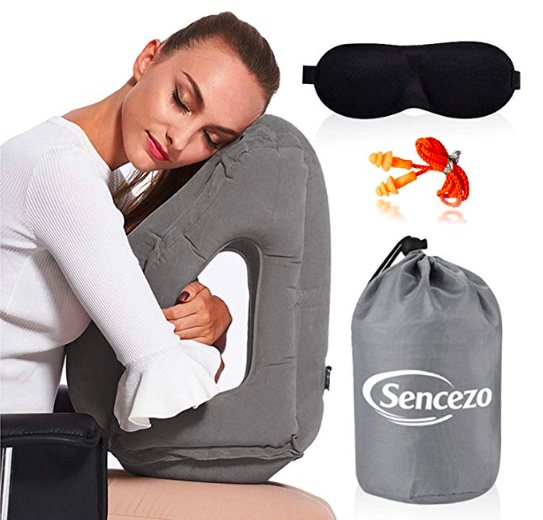 For a little less than $100, you can sleep anywhere and look like a creature from Pan’s Labyrinth. 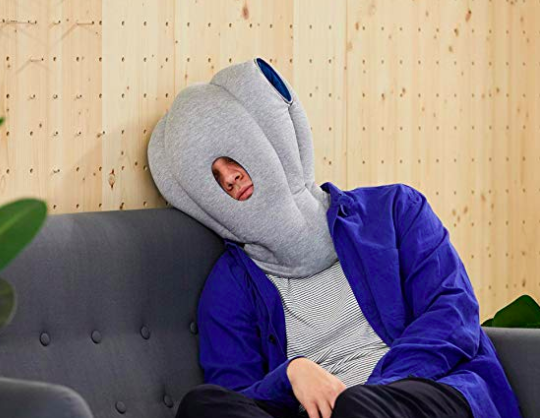 Imagine showing up to your meeting after you got some serious Zzz’s on your early morning flight with this behemoth of a travel pillow. Look, we can’t say for sure whether or not this sleep aid is cozy, but from that advertising it must be the coziest thing since hot chocolate. The problem is, like many of the travel accessories on this list, there’s no real support for your neck. So while your chin might receive some support that doesn’t mean your neck isn’t going to feel awful after a long ride from LAX to JFK. This one just makes us cringe. Our backs and spines hurt just looking at it. Not only will it absolutely give you neck and back pain, but it’s one of the more ridiculous ones to use on a plane. Sure, it comes in an ultra portable satchel just like our BR2, but once you get up to cruising altitude, get the Inflatable Travel Pillow out of the case, and inflate it — you’ve got a lot of pillow to deal with on a flight. What happens when the stewardess starts passing drinks over you to your aisle mates or (god forbid) your window seat neighbor needs to use the lavatory? The answer depends on how well you can manage a bulky inflatable pillow at 30,000 feet? Don’t get us wrong, there’s nothing wrong with Mickey Mouse. It’s not really Mickey that’s the problem. The issue is what are you going to do with Mickey once you get off the plane and arrive at your morning meeting? You didn’t bring your roller luggage, because you’re only in the city for a few hours to do your presentation - so where do you put Mickey? 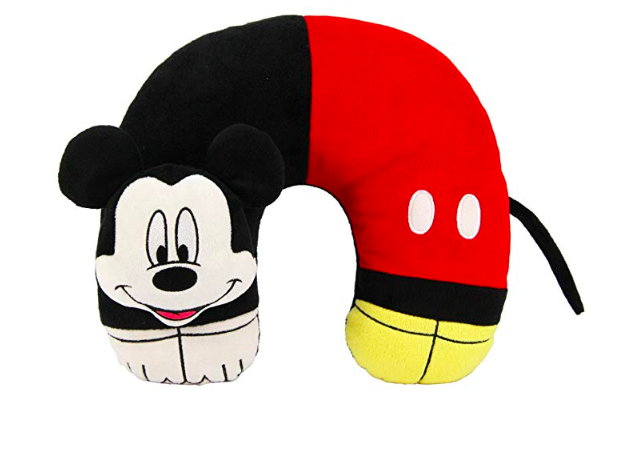 Mickey definitely won’t fit in your day bag, so when you get to your meeting you’ll be shaking hands with your right hand and trying to hide Mickey behind your back with your left. Is that person asleep or did they suffocate in that thing? 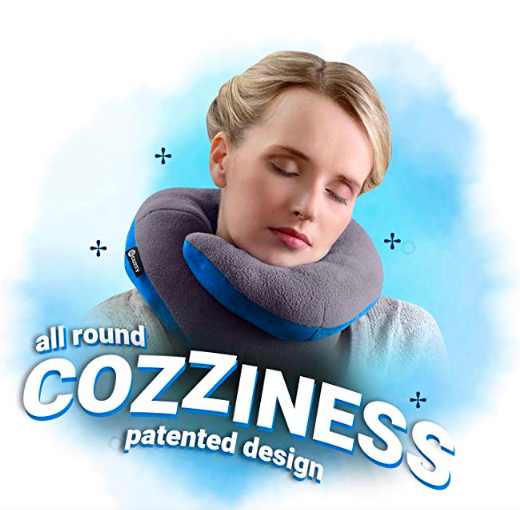 We’ll never know… but what we do know is that this choker of a neck pillow looks painful and not a good representation of a siesta. It’s bulky, tight, and lacks any real support besides the fact that you can cinch it down around your head making it impossible for you to move. As you can see, there aren't many good options for a travel pillow - which is why we created the BR2 - Travel Rest. We wanted to sleep comfortably in flight, but didn’t want to look ridiculous doing it. So we re-invented the travel pillow to be 80% smaller and to provide correct bio-mechanic alignment for your C1-C7. Ergonomically designed for better alignment, small enough to fit into any carry-on, and sleek enough to travel confidently. Check out the BR2, here.